Consider yourself a gift to the Earth. The nature of that gift is to be a conduit, an open door, though which love may flow to the earth plane, bringing healing and transformation. How might that door open more? That which passes through you must first be accepted by you. In this brief course we will transmit to you qualities of light that assist you in a deeper understanding of the nature of your being. That understanding does not readily translate into words, but it does exist as a relationship with the All That Is. It lets you stand in the presence of all that exists with an ease that welcomes the flow of love from the angelic realms into all that constitutes your reality. 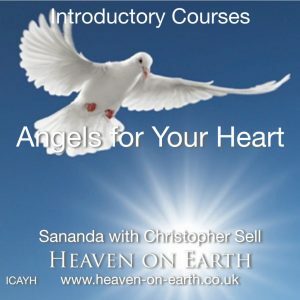 Increase self-acceptance and love, become more aware of the angels in your life. Three talks and three inner journeys as mp3 files.